. @NEAToday recommended 289 House candidates. Here are the 10 Republicans. Just because you’re a Democratic educator doesn’t mean @NEAToday didn’t endorse your Republican opponent. 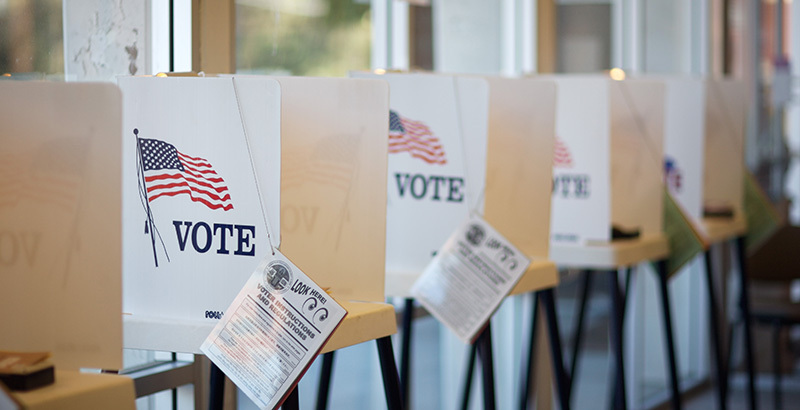 The National Education Association made recommendations for the November elections in 289 U.S. House of Representative races. Only 10 of the recommended candidates were Republicans. With Democrats so overwhelmingly represented, how does a Republican make the NEA’s cut? The union says it requires candidates to commit to support public education. That may be necessary, but it’s not sufficient. You also need to be an incumbent, as all 10 NEA Republicans are. I’m not aware of the national union ever supporting a Republican challenger against a Democratic incumbent in Congress. You need to be in a district with a Republican advantage in voter registration. The 10 Republicans hold seats in districts with a registration advantage ranging from +1 to +20. Your chances for re-election have to be extremely good. ● Paul Cook (California 8th District). California’s open primary system sends the top two finishers to the general election, regardless of party. Cook’s opponent, Tim Donnelly, is also a Republican. FiveThirtyEight, the political forecasting website, gives Cook a 97 percent chance of victory. ● Mario Diaz-Balart (Florida 25th). Diaz-Balart is given a 73 percent chance of victory against former judge Mary Barzee Flores. ● Mike Simpson (Idaho 2nd). Simpson has a 99.8 percent of beating economist Aaron Swisher in this R+17 district. ● Mike Bost (Illinois 12th). In what may be the only marginally competitive race of the bunch, Bost has a 60 percent chance to defeat state’s attorney Brendan Kelly in this R+5 district. ● Sam Graves (Missouri 6th). Graves is running against former teacher Henry Martin. He has a greater than 99.9 percent chance to retain his seat in his R+16 district. ● Dan Donovan (New York 11th). Donovan is New York City’s only GOP Congressman, but is still a 76.5 percent favorite to defeat Max Rose, a former health care executive. ● David Joyce (Ohio 14th). Joyce has an 84 percent chance against attorney Betsy Rader. ● Brian Fitzpatrick (Pennsylvania 1st). Fitzpatrick has a 76 percent chance of victory even though his district has only an R+1 registration advantage. His opponent is Scott Wallace, who runs his family’s global charity. NEA didn’t endorse Wallace, even though he is a member of the Democracy Alliance, a network of wealthy progressive donors whose board of directors is chaired by NEA executive director John Stocks. ● Glenn Thompson (Pennsylvania 15th). Thompson is another GOP Congressman with a greater than 99.9 percent chance to retain his seat. His opponent is university professor Susan Boser. ● David McKinley (West Virginia 1st). McKinley is the third of these 10 candidates projected to have a greater than 99.9 percent chance of retaining his seat. He faces law professor Kendra Fershee. NEA has been lauding the 554 educators who are running for political office this year, even to the point of offering campaign training for teachers, administrators, and support employees. But being an educator — and a Democratic educator at that — isn’t enough to guarantee a union endorsement if your opponent is a GOP incumbent in a safe seat. Three of the races above feature one of the 554 educator candidates, and NEA recommended their Republican opponents. Are NEA Republicans solid on NEA issues? Some are; some are not. On the union’s most recent legislative report card, two of the 10 received an A (Donovan, Fitzpatrick), one received a B (McKinley), three received C’s (Diaz-Balart, Bost, Joyce), and four received D’s (Cook, Simpson, Graves, Thompson). These are poor even though NEA grades on a curve in order to give Republicans more representation among its high scorers. Education does play a part when NEA recommends Republicans. There is a calculus involved in gauging a candidate’s prospects for victory, and there is a cost-benefit analysis to determine whether the union’s resources can affect the outcome. Otherwise, it is just politics.